The first end-to-end system that helps you start your investment club, provides you with an investing strategy for entering & exiting the market & takes the guesswork out of creating wealth through investing. READY TO START INVESTING, BUT DON’T KNOW WHERE TO START? Have you been wondering how people make money by investing in the stock market? Registration for the Financial F.L.O.W. Intensive Has Closed. We will reopen in Spring 2018. Are you currently waiting until you “make it” to start investing? Have you been looking at stocks, but worried about paying to much? Are you at a point in your life where you’re thinking about retiring or just taking a break from working but don’t know if you have enough money to do so? Are you a successful solopreneur with nothing more than a savings account? Are you hoping to set your kids up financially so they aren’t starting over from zilch? Are you hoping that if you ignore your finances, your future will be okay? Are you and your friends/family great at planning brunches and trips together, but not so great with wealth building activities? ☑ You desire a net-worth that supports your current an future lifestyle. ☑ You have degrees, education and professional experience but none of these have brought you the financial freedom you seek. ☑ You’ve tried to invest before but you got off track and then life got in the way. ☑ You want a clear, step-by-step roadmap to investing so you can take action starting today! ☑ You want to have a wealth legacy (including knowledge and assets) for your loved ones. ☑ You are ready to stop procrastinating and focus on your financial well-being. My name is Dafina Lovelace and my passion is to inspire health, wealth, and happiness in others. 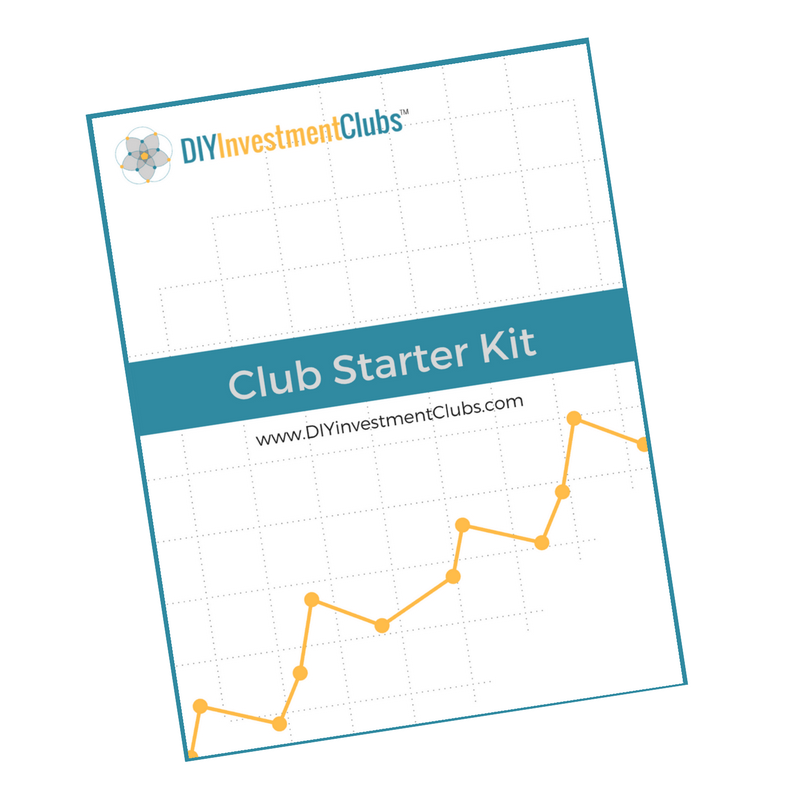 As the founder of DIYInvestmentClubs.com, I empower high-achievers to build wealth by investing in the stock market and empower their social circles by starting investment clubs. 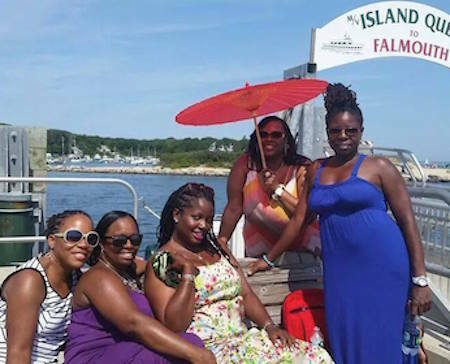 One of my gifts is helping women grow wealth, faster than they ever thought possible. Believe me, I get it, the stock market and the idea of investing can be confusing and overwhelming. Some days it feels like we have just recovered from the last recession. But I am here to hold your hand and guide you through the process of investing and creating an investment club for the social support you need. I thought I was going to be a computer game programmer, but I found a way to mix my passion for technology & being rich into a career. I built my early career by programming, testing, and analyzing electronic trading systems that actually manage stock option and stock purchase plans and facilitated over $10M a day in trading. To be able to do this work I needed to understand the stock and options markets and how they worked. Eventually, I got to the point where I looked around and I didn’t want my boss’s job or his boss’s job so I decided I need to figure out what I wanted to be when I grew up so I decided to take some time off from working and go back to school. After a short stint at an internet start-up and an eight-year career on wall street, I decided to go back to graduate school and learn how to start & run my own business. 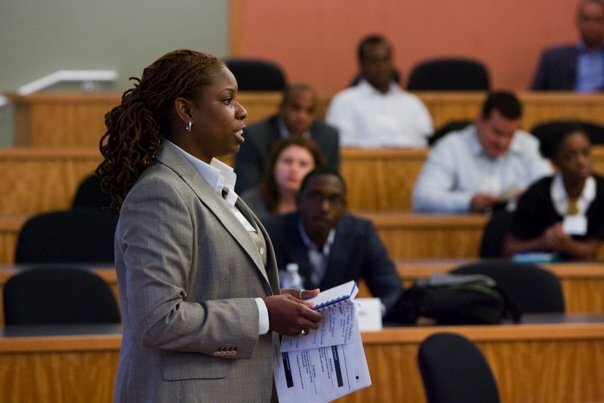 I learned a lot in business school, even how to start & run my own business. But I was risk averse, so I went the traditional route of a lucrative job offer and a bunch of employee stock options. I shared the concept of an investment club with my friends, and what it would look like for us to invest and learn together. I summed it up for them like this; I want to be rich and I’m going to need rich friends to hang out with, and rather than get new friends, let’s do this together because I’m not paying your way! Several of them said yes! Some said not this time (they are still kicking themselves for that decision). For those that said yes, they had their own reasons. Some wanted to learn to take control of their work-sponsored 401k, 403b, and other investment accounts, some wanted to set their children up for better financial futures then they started with, and other’s just didn’t want the rest of us to get rich without them. It wasn’t just about being rich, but about creating a legacy of wealth for ourselves and our families. So that we get to live the lives that we are working so hard to create. And for those of us that have children, god-children, nieces/nephews, and grandchildren, our legacy will not be one of having them start over from nothing with wealth building and the knowledge of accumulating wealth. Instead of planning a trip to Vegas, Miami or Dubai for my birthday in October of 2011, I decided to invite 16 friends, family members, and sorority sisters to join me to start an investment club. This was possibly the most low-key birthday I had ever had, but it has had a huge upside potential for me and my peers. With the 9 people that said yes, we started with a modest investment of of $500 each and $25 per month. Today we now have a 5-figure and growing portfolio. THE FINANCIAL F.L.O.W IS YOUR SOLUTION! Rewrite your money story regarding debt, credit, income, assets, interest, etc. Review the course layout and the path to successfully absorb the materials and create your action plan filled with economic strategies for financial freedom. GET STARTED FOR JUST $497! Make the full payment today and save $99.40, you’ll have immediate access to all the lessons. 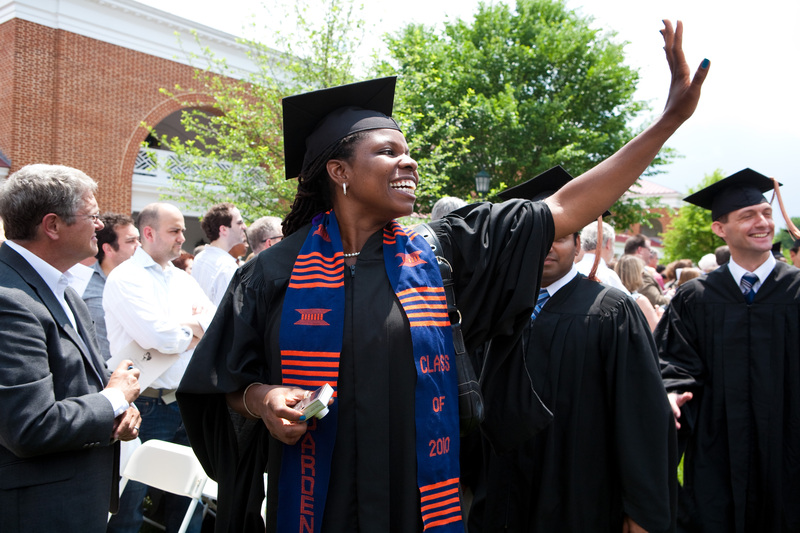 Enroll today for only $99, and well collect 5 additional payments for your tuition. No, I am not a financial or investment advisor. I am an educator. I have studied personal finance and investing through formal education, my career in financial services and choose to share what I’ve learned. Can I just give you my money and you invest or for me? No, I am a wealth builder and educator. I am empowering you with the knowledge to build wealth and grow your investment portfolio. No, I can’t. There are no guarantees in life, none when you play the lotto and none with the stock market. Everyone’s situation is a little bit different and of course, I can’t guarantee results, but I can give you the EXACT blueprint for success that I’ve used, with all the spreadsheets, strategies and step-by-step hand-holding that I wish I had. How do I setup my own portfolio separate from the group? You will be taught the ins and outs of investing for both individuals and groups through this program; this is why there are two distinct courses in the intensive. Is there a way for you to teach my group this material directly? Yes, contact us about the Private Coaching Package. YOUR ABILITY TO MAKE YOUR MONEY WORK FOR YOU IS JUST 4-WEEKS AWAY. Every effort has been made to accurately represent this training and its potential. Any claims made of actual earnings are exceptional results and are not intended to represent or guarantee that anyone will achieve the same or similar results. Each individual’s success depends on their background, professional ability and level of follow-through. As with any business endeavor, there is an inherent risk and there is no guarantee that you will earn any money with the methods taught in this training. The templates, worksheets, and checklists provided are for educational purposes only and should not be misconstrued as legal or financial advice.